it is possible to update this mod for 1.13.2 ??? I have tried EVERYTHING! I've installed and tried with both versions of forge for 1.12, and still I don't see the editor items, commonds like //wand don't do anything, I can't even open the config in the mods menu, seriously what is wrong, THIS VERY FRUSTRATING AS IT WAS JUST WORKING FINE A WEEK AGO!!!!!!!!!!! 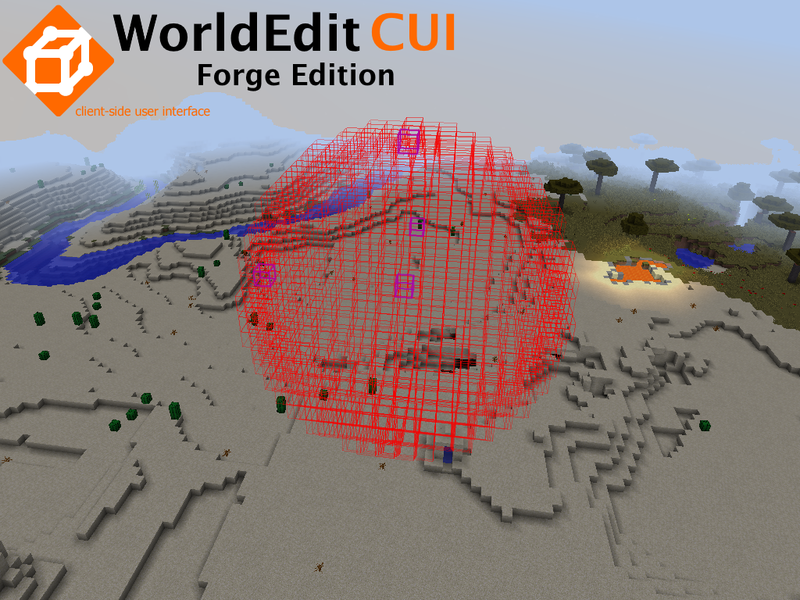 I have WorldEdit 6.1.10(For MC 1.12.2), then install this mod, make new world/server, select a small region, but it doesn't appear like on your photos, just some red laser around me, then i press F4, it turned grid. Any news for 1.13.2 ??? Have you tried without any other mods ? This mod doesnt, work, i use "//wand" and says unkown comand, how do you solve that? You have to install Worldedit first. 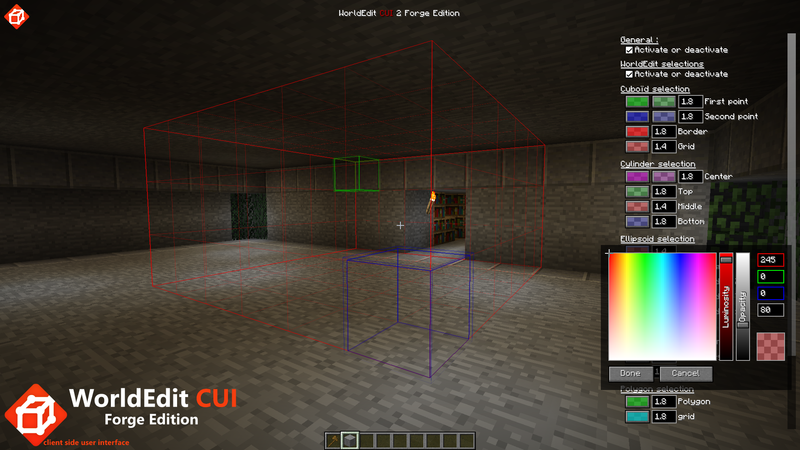 I put the two mods in my Forge (1.12.2 - 14.23.5.2768) mod folder. 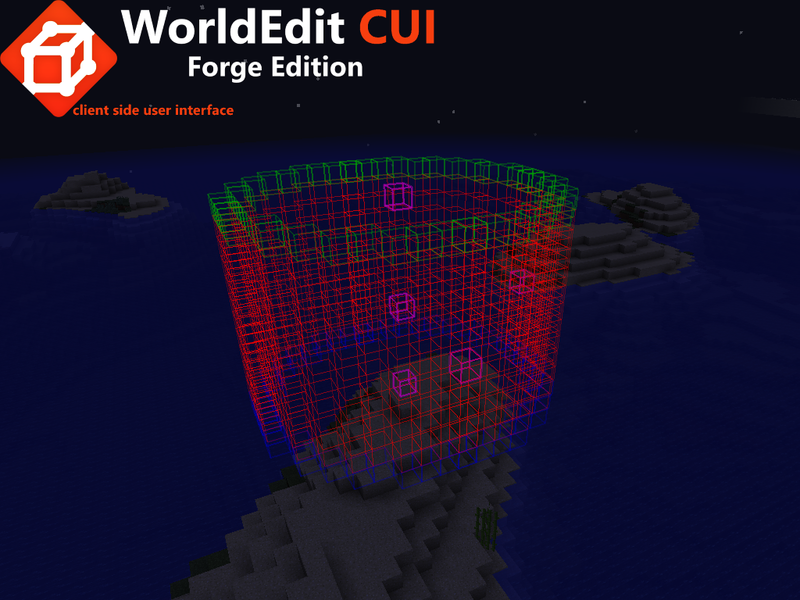 I can use Worldedit commands and I can open the config menue für Worldedit CUI. 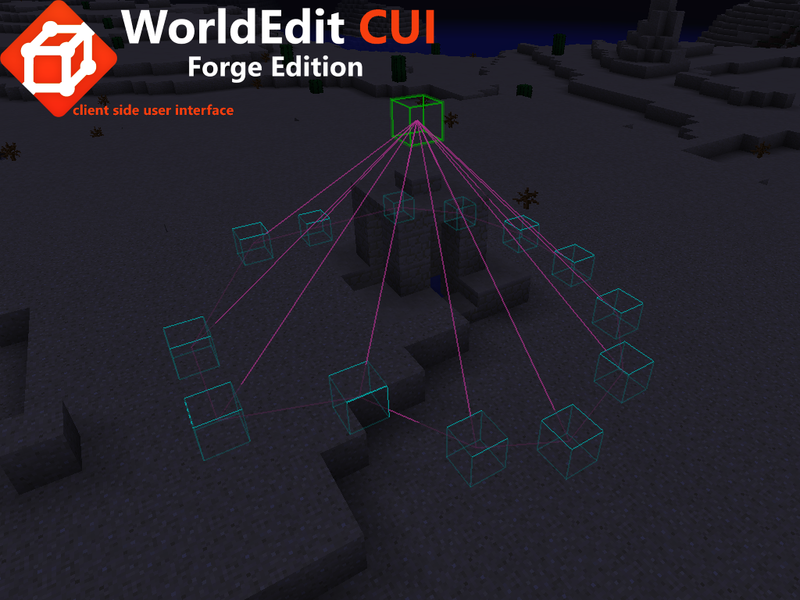 But I can't see selection outlines or anything from Worldedit CUI. Even when any "activate or deactivate" is checked nothing changes, but I can use the "distance mesurer" which works fine. So how do I get the small selection outlines working? No other Mods where loaded for this test... What do I miss? Please, I need help! Any tip is welcome! 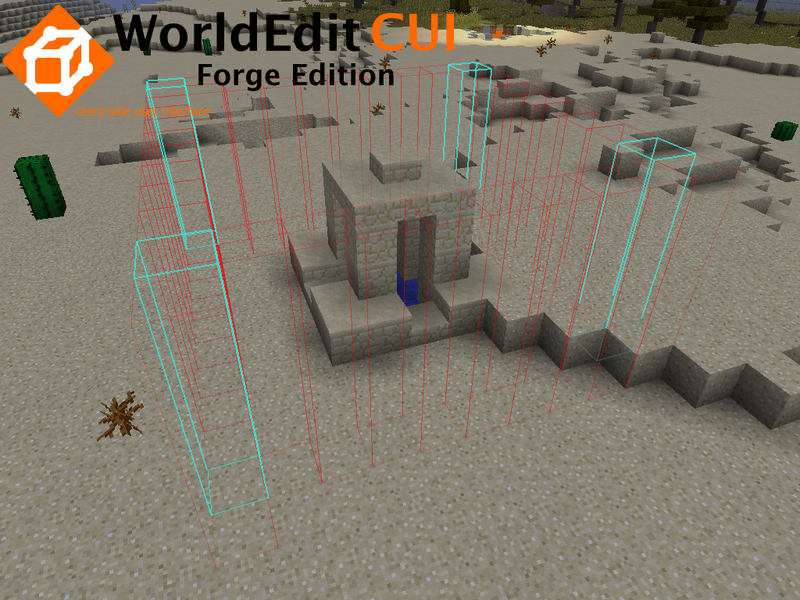 Major changes appear in WorldEdit 7 so I had to do 2 différent mods depending on WE version. 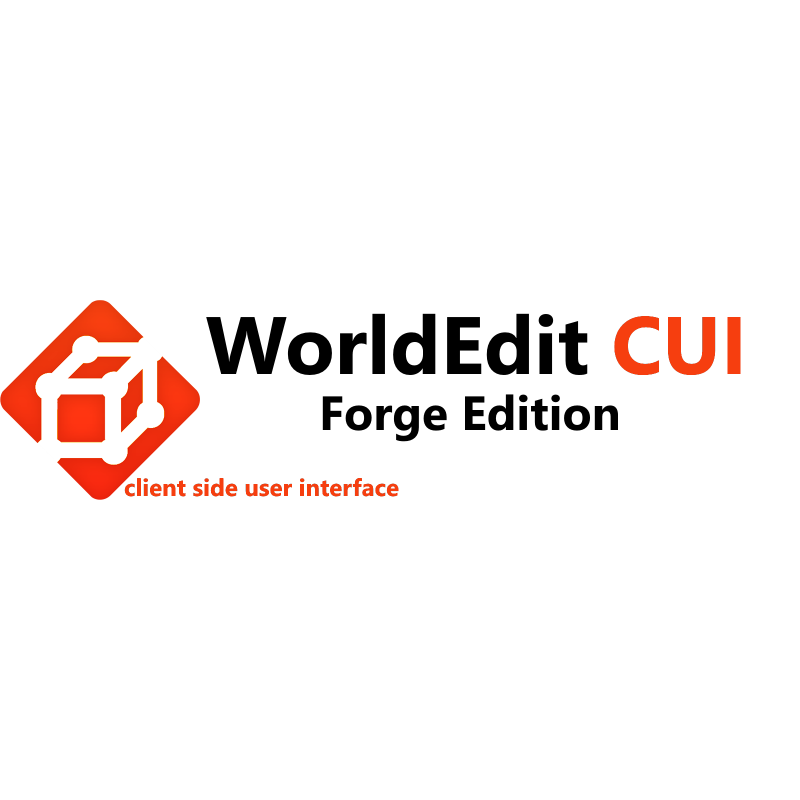 I know this is probably a silly question, since it's literally called "Client User Interface," but is there any benefit to installing this serverside? 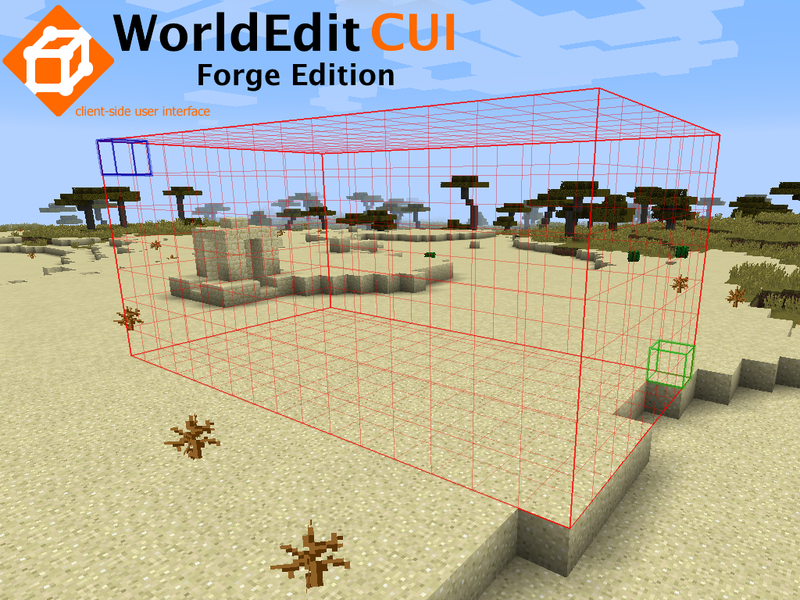 WorldEditCUI Forge Edition 2 depends on Forge.